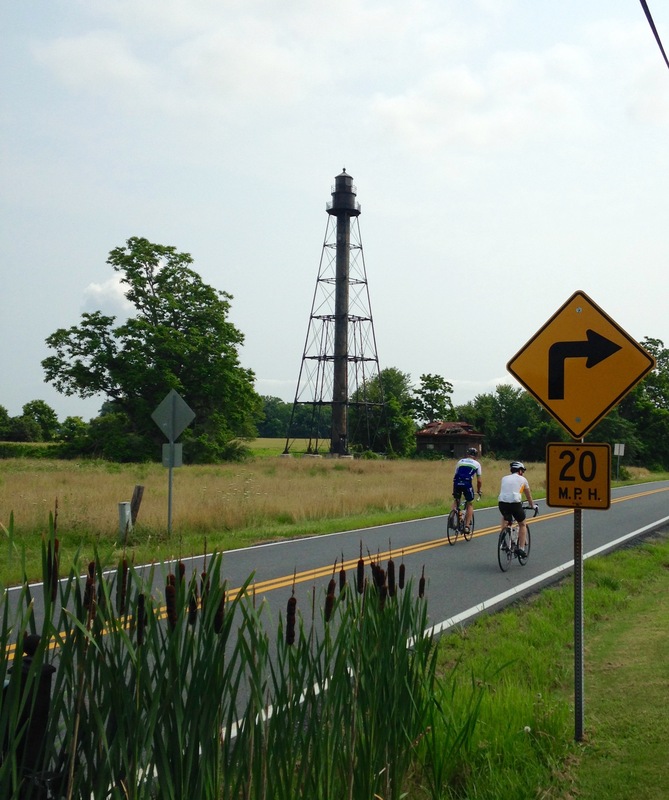 Today’s ride: The Delaware Double Cross is a Metric (62 miles) put on by the White Clay Bicycle Club, and it crosses the narrow portions of the state of Delaware twice. Since it’s held in the first weekend in July, it has the tendency to be HOT. Hydration is key for any hot ride, but the Double Cross is well supported over the distance. The ride is mostly flat, but there is often wind to contend with. The Experience: My ride started with an email from my friend Ron – my usual partner in crime, who keeps careful track of rides within driving distance of Washington DC, asking if I was up for riding the Double-cross again. I’m not hard to convince to take a ride, and of course I agreed. 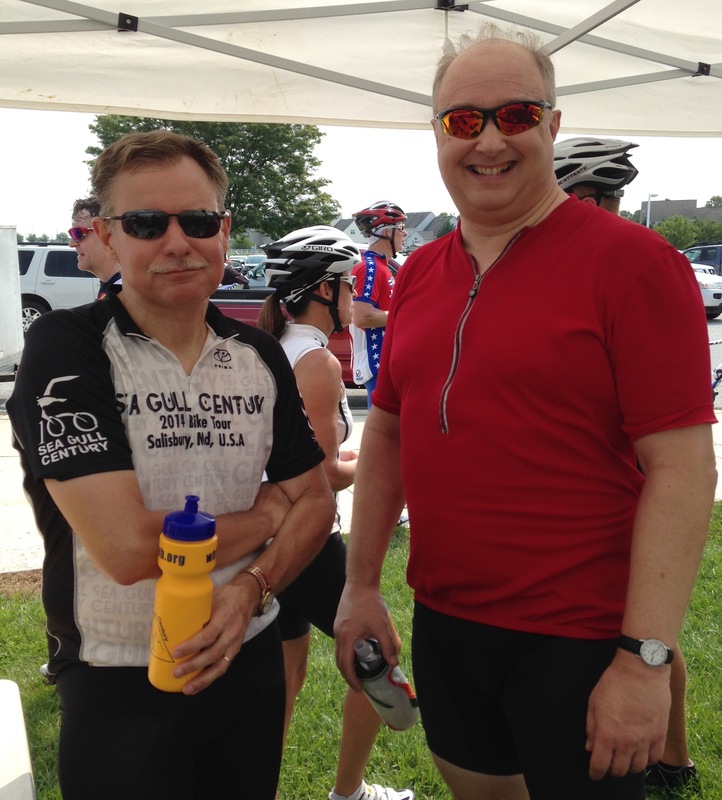 Though we typically have several riders at events, this time it was just the two of us on the roads across Delaware. We found ourselves heading out on a calm day that wasn’t too hot, so we had good conditions. We rolled through Middletown to cross route 13, where a number of riders were waiting to cross. Ron immediately jumped when the light changed and set a hard pace. He was trying to get past a group of slower riders, but riding fast is often a challenge to other riders, and while we did manage to leave the riders we wanted to leave, there were some strong riders behind us that kept up. This included several women who had similar kit and had the look of racers. With the sound of others behind us, Ron kept up the pace. By the time he let up on the gas, we had dropped all but the strongest riders behind us. We let them pass and I took over the pacemaking to the first rest stop in Port Penn. I watched a rider take up with the group I thought of as “the racers”, but he didn’t last. When we passed him, he had dropped off and picked up the wheels of another group. There are riders who come to events who do this – pick up wheel after wheel to ride in a draft, perhaps feeling like a racer, but contributing nothing to the others in the group. If they’re in the middle of a line, they can split your line or even crash, because they are usually going faster than they’re accustomed to riding. If they’re hanging on to the back, they’re taking a risk to themselves, but otherwise, they can be a real risk to a group if they are in the middle. In some events, such riders may form ad-hoc groups, but normally such riders are shy about pulling a group behind them. They’re known to most cyclists by the term “wheel sucker”. Riders like this aren’t intentionally dangerous. They just don’t understand the problems they’re creating. As the ride progressed, Ron and I overtook another group whom we passed on a climb. On the downhill, they sprinted past, cut right in front of us, and slowed down! Did they intend to ride dangerously? No. They were having fun. They didn’t realize how dangerous they were being. We lifted our pace and dropped those riders. Later, we were caught by another group, but when the road began to rise, I held my pace, and Ron and I rode away from that group. They had nobody to pull them up to us – they were followers, not leaders. Riders of the kind we met that day are wild cards. You don’t know if they’ll be trouble. Sometimes the best way to deal with trouble is to avoid it. Taking random wheels at an event is not the way to learn to draft. For most of the day, we rode well, and since the day wasn’t too hot, we covered the course at a good pace. In the end, we came in strong, and earned our post-ride celebration! Selections from my mental iPod during the ride: “Why Can’t I Be You?” – The Cure, “Love, Reign O’er Me” – The Who. Statistics: 65.41 Miles at a strong consistent pace from the start to the finish. This felt good for two riders cooperating over that distance. At the rest stop halfway through. This was after the first loop, at the same place where we started and finshed. This Steel Lighthouse was one of the interesting sights on the second loop. 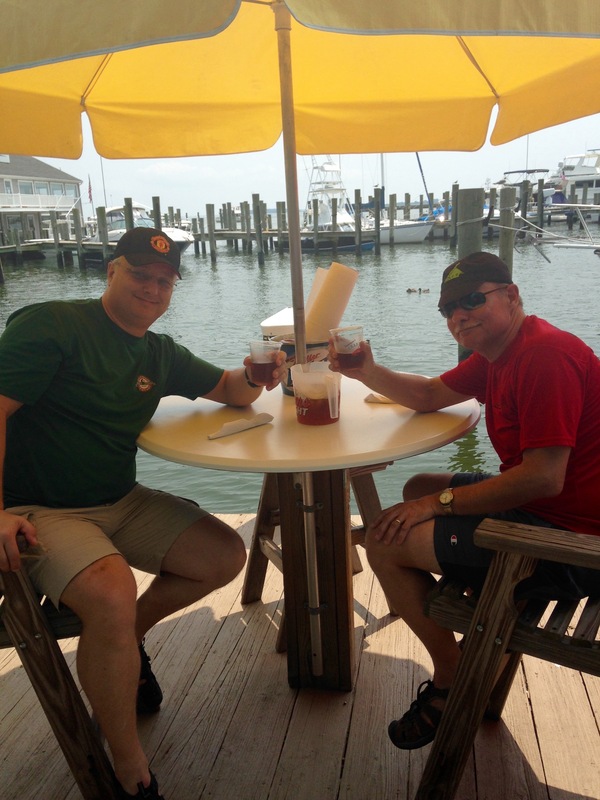 Celebrating after the ride on the Crab Deck at Kent Narrows. This entry was posted in Cycling, Front Page on July 13, 2015 by kitefencer.